Did you know you can now order your Just Eat takeaway from Shu Castle here on View? Do you work at Shu Castle? What did you think of Shu Castle? 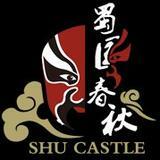 While visiting family in London, we thought we would try something new and came across Shu Castle on Old Kent Road. We have never tried Szechuan cuisine before and we found it to be tastier than normal Chinese food. The décor is beautiful and the staff are most welcoming. Our whole experience was top notch with the staff recommending dishes for us to try. If you ever find yourself in Shu Castle we recommend Kung Pao Chicken and the Aubergine Clay Pot.